Your love your four legged friends like family, treat them the same. They can destroy your house like family too, and unfortunately, not everyone finds the antics (or aromas) of your fur children adorable, which can be pretty problematic when you’re trying to sell your house. While pets bring many people a lifetime of joy, there are a host of reasons a prospective homeowner – even those with their own animal companions – may turn up their nose at a home that houses pets. Allergies – though the severity of allergies to animals may vary, a prospective buyer is probably going to be a little turned off by having to pop a Claritin before entering a house for a viewing. A house can be cleaned from top to bottom but it can take a while to fully clear a house from animal dander. Fears – you may know that tiny little Fido is completely harmless but for someone with a fear of dogs, your placation will fall on deaf ears. Even barking and growling from dogs that are crated or relegated to the backyard can be all they need to shut down and want to leave. Showing Tip: It’s good practice to keep pet toys, treats and food bowls out of sight during showings as well. And you shouldn’t just consider the safety and well-being of visitors to your home. If your home is family friendly, visitors to your open house may show up with small children in tow, children who like to poke and play with animals. Some pets can get nervous or overly excitable when faced with strangers, even strangers their own size, in their territory. Cats, dogs, even those teeny pet rats can cause big damage with their chewing habits. Go over your home with a fine toothed comb, especially everything at and below your pets height. Check floor trim, the threshold of front and back doors, corners of doors and cabinets, even carpet, window ledges and screens (especially for feline households). In most cases, it’s better to replace the damaged area than simply repair it, as odour and enzymes in pet saliva can linger. Tip: Before you show, you may want to consider storing any furniture that has been noticeably chewed or scratched, as to some buyers the mere presence of a pet can devalue the home. Pets can’t communicate what they need when they need it, and sometimes that leads to “accidents,” which really becomes problematic when you don’t notice them until they’ve set-in. Deep, set-in stains can affect your carpet and flooring (especially in high traffic areas), drywall and trim, and even your favourite furniture. Spot treatment is rarely enough to solve the problem, especially when it comes to repeat offenders. Your best course of action is replace the affected area with new carpet and carpet pad. Laminate flooring or vinyl may have to be replaced as well. When it comes to listing a house where pets live, pet odour is the number one problem that needs to be addressed before you try to sell. Not only are even the slightest pet odours obvious to anyone who steps foot in your home for the first time, they’re often very difficult to get rid of, and knowing this, a potential buyer is likely to cross your home off their list. Unfortunately, it can be quite expensive to really get rid of pet odours, but that initial investment is worth it in the long run. Replace and remove any item in and around your home where a pet has had an accident – this includes carpet and carpet pads, drywall and trim, vinyl and wood flooring, and furniture. Pet hair, dander and sweat can also create odour. 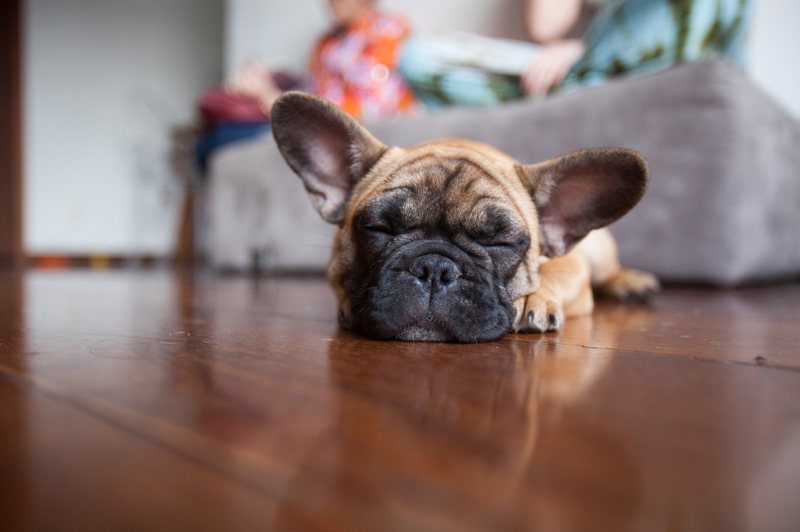 If possible, board your pets or have a friend watch them while you’re showing your home, and regularly vacuum and clean areas they frequent to keep odours from coming back. Showing Etiquette: Though you should try to set a precedent and request at least 24 hours notice before your agent books a viewing, you should aim to be flexible and have a contingency plan in place in case your agent needs to book a viewing at short notice. This entry was posted in Selling and tagged advice, home seller tips, pets, Selling Tips, showing, viewing. Bookmark the permalink.